The Argentine international has been the subject of fresh claims that he is unhappy under Guardiola after being dropped for the Manchester derby last month. 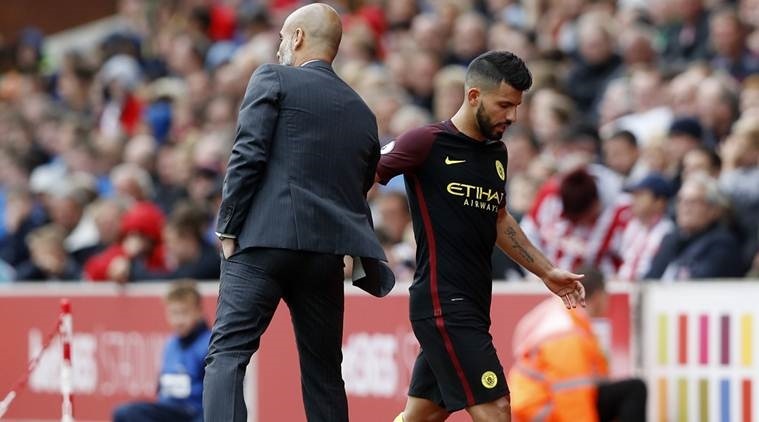 Sergio Aguero has shot down reports suggesting that he and his coach Pep Guardiola have a beef between them. The Argentine to further underline his commitment to Manchester City and by extension to Guardiola confirmed his intention to see out his contract with the Cityzens. But he scored his 16th goal of the season in Tuesday’s 3-1 win against Watford and afterwards addressed his relationship with City’s manager. Despite his outstanding scoring form this season, Aguero has still come under criticism from Guardiola, who believes his levels have dropped since being involved in a car accident in September. He was dropped for the 2-1 win against Manchester United and then showed his frustration when substituted against Tottenham a week later. Regardless of the present back and forth, Aguero looks certain to win a third Premier League title with City, who are currently 15 points clear at the top of the table.